Avant.org presents Seth Cluett: Inward-Turning Histories at The Current Museum on Nov. 10, 2016. Cluett will realize a composition directed around psychoacoustic methods to create individualized listening spaces for audience members using field-recordings and masking/occlusion. The work considers social politics using psychoacoustics as a cypher: what people hear is different and individualized from seat to seat. This performance will utilize the unique acoustic resonances of interior of the The Current Museum at 60 Sullivan Street. 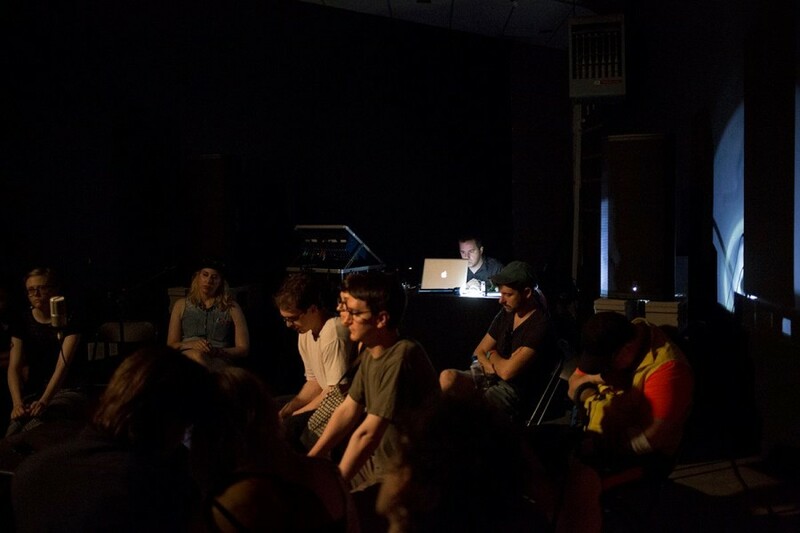 The work was first premiered at the Avant.org Sonic Research: Psychoacoustics program during the ALLGOLD residency at MoMA/PS1. The piece has recently manifested an editioned artist score and software environment. The event is in celebration of the release of this artist print of the score for Inward-Turning Histories. The print also includes access to a customized software package to be used as an instrument to perform the work on your own. The software can also be used as a framework for building a site-specific sound installation based on the unqiue acoustic space of the listener’s environment. Admission: $10 general; $5.00 sudent; $20 with a signed artist edition. The doors open at 7pm. Cluett will speak with curator Regine Basha at 8pm and perform shortly thereafer. Seth Cluett is an artist and composer based in Hoboken, NJ. Cluett earned an MFA in Electronic Art from Rensselaer Polytechnic Institute and a PhD in Composition from Princeton University and is an Assistant Professor at Stevens Institute of Technology where he holds a joint appointment in Visual Arts and Music. This program was organized by Charles Eppley & Sam Hart for Avant.org, a distributed project space for critical thought and practice. “Inward-Turning Histories” is presented with support by The Current Museum of Art, a non-profit institution devoted to digital art. Subscribe here to stay Current.